After being through a bunch of leaks, the upcoming Moto G6 Plus is now again leaked, but on the Geekbench this time. As its other partners, Moto G6 and G6 Play are already spotted, it is the chance for G6 Plus now. Compared to the specifications we knew from the older leaks, there are some changed specifications in the Geekbench listing. 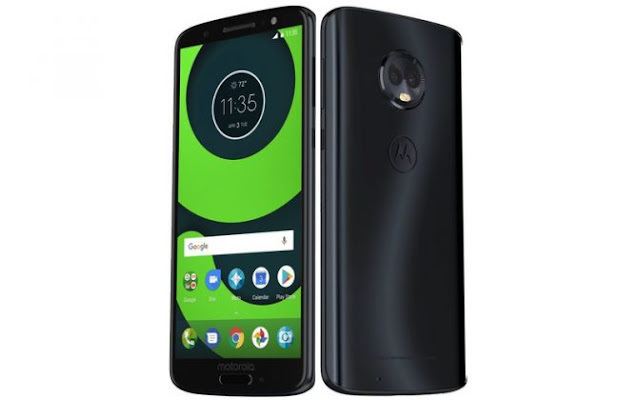 According to the listings, the upcoming Moto G6 Plus will feature a 5.93-inch Full HD+ display with an aspect ratio of 18:9. The smartphone will come with the Android Oreo operating system. 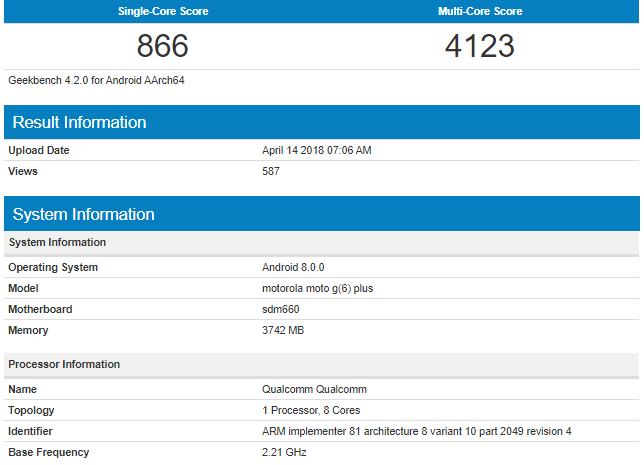 Under the hood, the device will be powered by a 2.2 GHz Qualcomm Snapdragon 660 octa-core processor whereas we expected a Smartphone 630 according to earlier leaks. In terms of storage features of the handset, we expect it to come in two variants with 4GB or 6GB of RAM and 32GB or 64GB of internal storage. At the rear, the smartphone should pack dual 12-megapixel plus 5-megapixel camera primary cameras. At the front, the phone should come with a 16-megapixel camera. The device will run on a 3200 mAh battery and will also support a fingerprint sensor. As of now, there are no new details regarding the price details of the Moto G6 Plus but we expect the smartphone to launch on 19th April 2018. For the next updates about such smartphones, stay tuned to Glanceinfo so that you can update yourself at a glance.